Elaine Hancock (Olney, United States) on 22 June 2014 in Landscape & Rural. This bank barn was on a dairy farm. The milking parlor with the original hay mangers and feed troughs still remain. The barn represents the old tradition. In Finland, they are losing the hay wrapped in a thick plastic sheet using machinery. Belle composition et très belles couleurs sur cette façade brunie par le soleil. Quelle ferme de vieux bois et ciel en fond mervielleux. Love the colors of the old wood. Nice. such beautiful composition, clouds, colors, lighting & textures! Beautiful weathered materials on this grand structure. And love the drama of the cloud shapes and tones. Belle composition et belles couleurs , à souhaiter que ce style de bâtiments soient entretenu afin d'être un témoignage d'une époque ! Beautiful composition and beautiful colors, hoped that this style buildings are maintained to be a witness of an era! 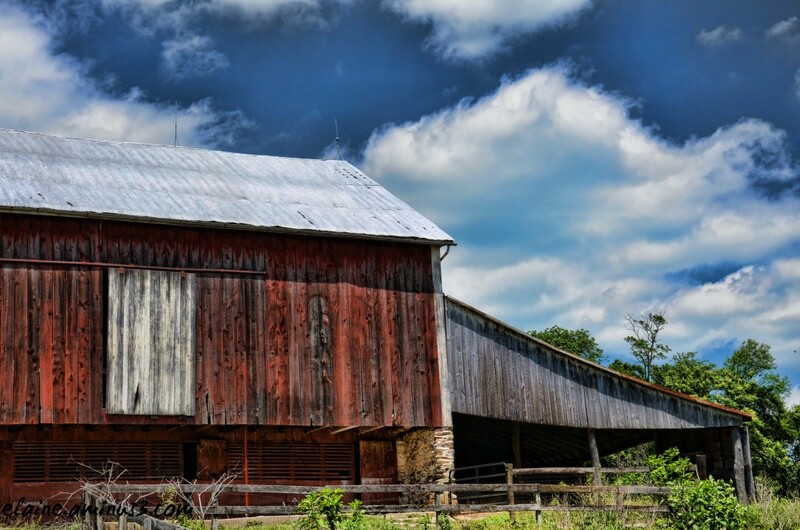 Wonderful capture of an old barn. I like the beautiful details and textures of the wooden wall. The texture and colors are so nice. Wonderful framing and nice light. A fine capture of the wood color and texture. The sky is spectacular. A nice shot of a place with "his" history. Also, I like the sky! Is gorgeus ! fantastic tones, good composition and lots of interesting detail! So very charming ... the grain on the wood planking and its color is very attractive! The clouds at right side are very nicely to balance the image. Superb !! I love this shot !!! like the compo and the powerful colours !